LUBBOCK, Texas – Texas Tech women's golf coach JoJo Robertson announced this past week the signing of England international Louisa Brunt to a National Letter of Intent to join the program beginning with the 2017-18 US college golf season. 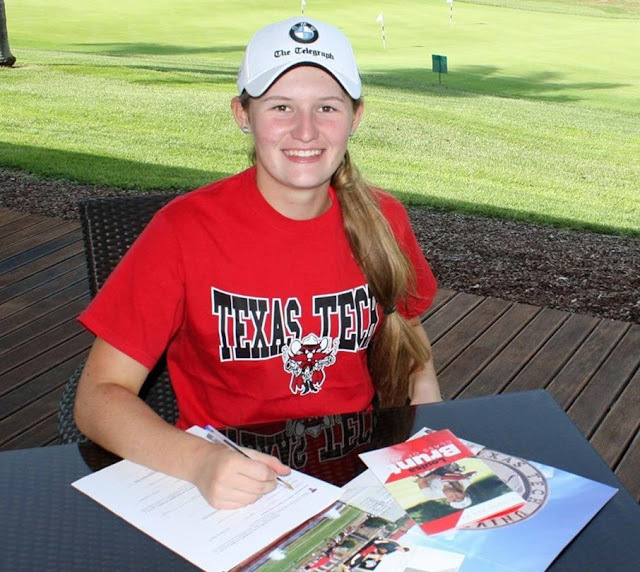 Brunt, a native of Manchester, England and a member of the prestigious Royal Birkdale Golf Club, will add depth to a Lady Raider program that currently ranks among the top-35 teams nationally despite not boasting a single senior on its roster. She is currently playing in the Harder Hall Women's Invitational tournament at Sebring, Florida. "We are very excited to welcome Louisa into our program and look forward to having her join us next fall," Robertson said. "Not only is she a great player who will bring a ton of experience but she will be a great teammate and add so much to our team. We are so proud that she is a Red Raider." Brunt is one of the top overseas players in the 2017 class as she currently ranks in the top 100 of the European golf rankings. She has played in several of the top international tournaments, highlighted by her selection to represent England in the European Girls Team Championships earlier this year. Brunt, who was also recently named to the England Women's Team, represented her native country in the 2014 Scottish Under-16 Girls Championships as well as the U-16 match against Switzerland. She finished tied for ninth earlier this year in the English Women's Open and 13th in the English Girls Open Amateur Championships. Brunt is the lone signee for the Lady Raiders during the fall period. The Lady Raiders resume their 2016-17 slate in early February for the Lady Puerto Rico Classic.